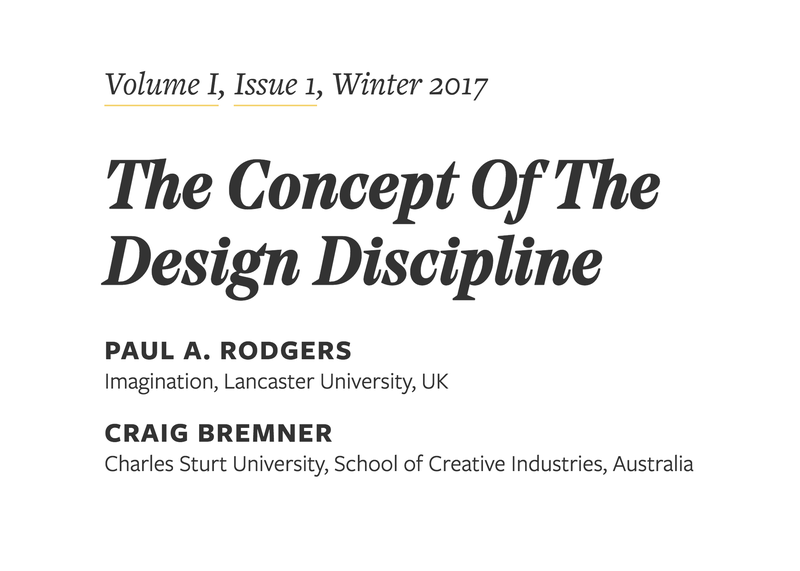 In their previous work, the authors have demonstrated that the discipline of design has been superseded by a condition where conventionally set design disciplines have dissolved. In this age where design is typified by fluid, evolving patterns of practice that regularly traverse, transcend and transfigure historical disciplinary and conceptual boundaries, the authors have argued that globalization and the proliferation of the digital has resulted in connections that are no longer ‘amid,’ cannot be measured ‘across,’ nor encompass a ‘whole’ system. In short, this ‘disciplinary turn’ has generated an ‘other’ dimension—an alternative disciplinarity. Moreover, this reliance on the ‘exhausted’ historic disciplines has become obsolete as the boundaries of our understanding have been superseded by a boundless space / time that we call ‘alter-plinarity.’ The fragmentation of distinct disciplines has shifted creative practice from being ‘discipline-based’ to ‘issue- or project-based.’ Consequently, this paper presents a manifesto for the future design discipline that emphasizes disposing carefully of what you know, teaching what you do not know whilst always taking design seriously, protecting us from what we want, objecting to sustaining everything, designing without reproach, ensuring that objects are invisible but designed with care and within history whilst exploring design as an idea rather than an ideal.